As I sit on the cliff, the world seems to come to me. Gulls, linnets, pipits, swallows and starlings fly head high past me unperturbed by my presence. They are going about their morning business and I am an irrelevance to them. 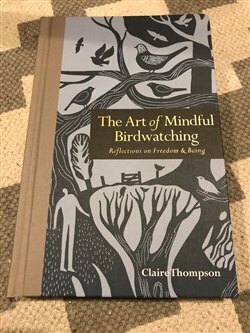 My seat outside my hut is what Claire Thompson in her excellent book, The Art of Mindful Birdwatching, would call my sit spot. She would probably like me to be a little more disciplined and put down the book and coffee to help me clear my mind as I connect with the sounds, sights and smells of nature. But I am happy with the impact of my sit spot tradition. By the end of the holiday I feel ready to return to the routine of ‘normal life’. But sit spots should be for life and not just for holidays. So, I'll accept Claire’s challenge and make the time to find my sit spot at home. It is all too easy to ignore the garden birds as the kids are preparing to go to school, to be distracted by the endless chatter of the radio on the way in to work and to be wrapped up in my own thoughts as I head to the office before the inevitable series of meetings. Claire is right, of course. Taking proper time out in nature is not only enjoyable but through real connection, we are refreshed and more equipped to take on the challenges that life throws at us. It should be something we do every day. Rather than be enveloped by the pressures and complexity of life, a ‘mindful’ approach allows us to respond better to events and use our finite emotional energy more sparingly. 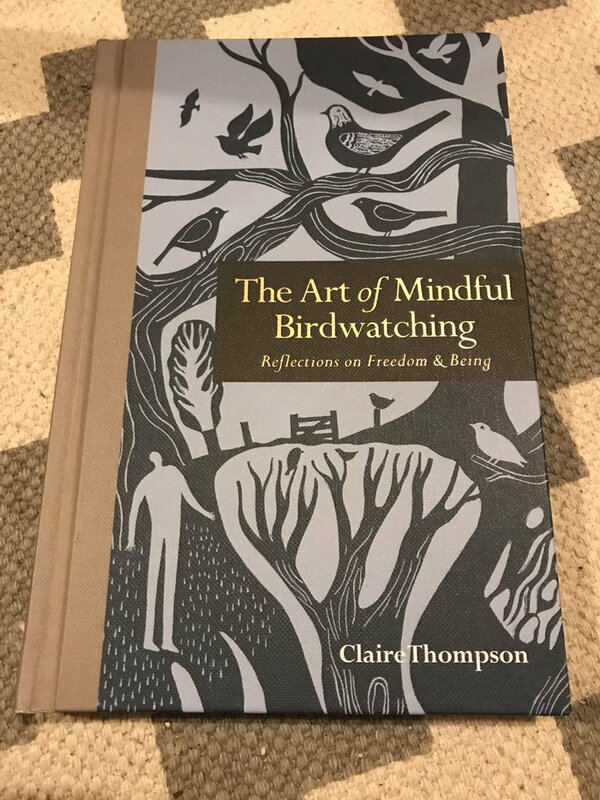 RSPB's mission is to inspire a world richer in nature - for its own sake but also because our own lives (including our own mental well-being) depend on nature. It could be argued that the more nature there is around us, the more fulfilling any sit spots become. So, this autumn, as the memory and impact of my holiday recedes to be replaced by RSPB plans to have greater impact for nature, I shall find a new ‘sit spot’ at home and build it in to my daily routine. My colleagues and family will be the first to know if this makes any difference. As a Northumberland resident myself, I can completely understand your affinity with our beautiful coastline. One of my favourite "sit spots" is just south of there at Cresswell dunes; the awesome coffee and cake at the Drift café help of course! I've spent many a morning and evening on the beach there, just watching the sanderling run up and down the waterline.......bliss! I have a favourite "stand spot" - at the kitchen sink! Yesterday's highlight was a Spotted Flycatcher hunting from my neighbour's washing line. I've seen a wealth of wildlife from my kitchen window while doing mundane tasks. So of course you don't always need to put aside special time for your life to be enriched by nature, but I agree it's great when you can - rushing out of the house clutching the binoculars as a raptor heads for the horizon is probably not the most mindful way to watch birds!